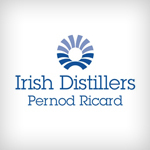 Irish Distillers Pernod Ricard is Ireland’s leading supplier of spirits and wines and the producer of Jameson, a huge success story for the Company, being the world’s fastest growing international brand of whiskey. IDL also produces four of the top ten spirit brands in Ireland (Powers, Paddy, Huzzar and Cork Dry Gin) and West Coast Cooler, and distributes top international brands such as Absolut, Havana Club and Malibu. In December 2011, Irish Distillers announced a €100m investment at its plant at Midleton in Co. Cork and the creation of 60 new jobs in Cork and Dublin. This expansion is necessary to meet increasing demands for its Jameson whiskey worldwide and will see employment grow to 560 people.